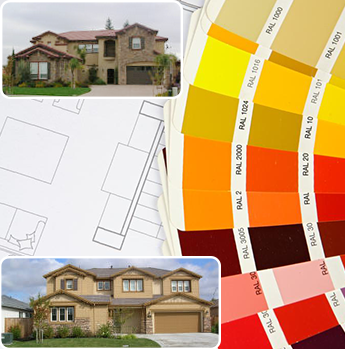 Shelton Painting is a family-owned-and-operated business serving the Sacramento, California, area. We have been doing good work for customers since the early 1970s. Our president is Barry Shelton Sr., a second-generation painter. He, along with his son, Barry Jr., run our painting company with the same devotion to excellent service that Barry Sr.'s father had. Barry Sr.'s father was a painter for over 30 years before he started Shelton Painting. Barry Sr. learned a lot from him about painting, but the most important lesson was doing a good job the first time around. He makes sure that his own son and our employees know this, as well. Barry Sr. reminds us to do a high-quality job and take our time the first time. We don't rush any painting projects. 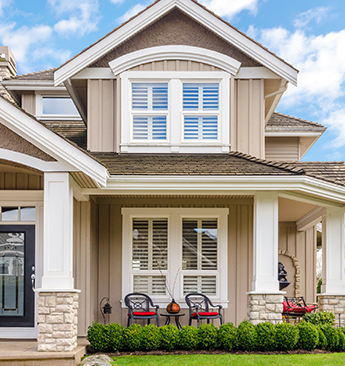 This way everyone wins — the homeowner gets a wonderful paint job, and we profit by not having to do the same work twice. When Barry Sr. worked in the field with his father, they brushed and rolled everything. We didn't use sprayers back then. Also, we kept the number of employees to a minimum. This wasn't because of a lack of work, but by choice. Barry Sr.'s father wanted a company that only produced top-quality work and never took on more work than could be handled. The finished results were of the highest importance then, as they are now. After working for his father in the late '70s, Barry Sr. went on to work for other companies. He broadened his skills as a shop foreman and as supervisor. By 1999, Barry Sr. opened his own painting company. He staffed his shop with skilled craftsmen who produced polished work the first-time around, just like his father had always taught him. Barry Sr. keeps his company small but busy, and stays focused on providing excellent work. Our customers demand excellent work, and we ensure that you are 100 percent satisfied. We have four trained and conscientious employees on staff. Each person is diverse, eager to learn, and able to perform a variety of tasks to our high level of standards. Our employees are valuable assets to our company. We wouldn't be where we are today without their loyalty and hard work. It is with gratitude that we recognize employees for helping to make our reputation built on quality.